Fuel Cell Today. Intelligent Energy unveiled its new ENV (Emissions Neutral Vehicle) prototype fuel-cell motorcycle yesterday in London. 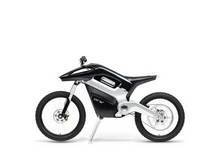 The ENV bike is based around Intelligent Energy’s 1 kW CORE fuel cell. To improve performance during spikes in power demand (i.e., acceleration), the fuel cell is hybridized with a lead acid battery pack to provide 6kW peak load to the motor. The CORE is completely detachable from the bike, and is capable of powering anything from a motorboat to a small domestic property. The bike has a top speed of 50 mph and a projected range of at least 100 miles (160 km). Acceleration is leisurely: 0–30 mph in 7.3 seconds, 0–50 mph in 12.1 seconds. The bike’s primary frame and swinging arm are made from hollow-cast aircraft grade aluminum. MesoFuel, a New Mexico company that develops micro-devices for the conversion of liquid and gaseous hydrocarbons into pure hydrogen for storage and use in PEM and other fuel cells. On the PEM side, Intelligent Energy claimed to have a unique stack architecture that is simpler and thus easier to build, offering a range of power outputs. Sounds like that’s what they have implemented in the ENV. I have just read your latest news regarding the ENV Hydrogen motorcycle. This is very encouraging to see clean efficient fuel cells powering this machine and the flexability is brilliant! The speed does need to be increased to at least 70 mph to be really useful, but I know that you will be working on this, as well as increasing the power. Very encouraging to know that we don't have to rely on the rip-off pricing of fossil fuels, keep up the good work! Also, just a thought, if you could incorporate a hydrogen creator/generator within the machine, to actively use the existing by-product water to create its own hydrogen,it could be self-reliant, now that would be something and there would be no need for service stations! I am sure you are working on this right now! All the best! What is the safety rating on this vehicle? What is the likelihood of the hydrogen fuel cell cumbusting during a collision? Are there any plans for the developement of a hydrogen powered car? Great idea but can I wiggerize the bike? Put on an obnoxious muffler or other offensive items? How about a spoiler? Will there be a US sales outlet for the envbike? Please contact me when it is available. Are their any articles on the Core as a stand alone power source for remote cabins? Is the generator available for remote cabin usage now? Yes once i return to Hawaii to my main base from my deployment to Iraq I would die to buy the ENV bike... but dont know how... can anyone help me please? I'd love to have one as much as any of the other posts, even though I'd probably fall off it in the first 30 seconds and break my foolish neck. At this time I am more curious about the technology than where to buy one. I think that this is still ripe, even now, for further tech improvements. Then I want to buy one! Why do you use a chain drive from an electric motor in the frame of the bike? (lower center of gravity? construction less expensive?) I would think that a disk motor in the rear wheel would provide higher torque for better acceleration, be more efficient and reliable than a gear drive and also provide energy reclamation from braking to the battery for peak energy needs during acceleration. The aluminum frame could be used as a conductor. Kills two birds with one stone and probably saves weight to boot, though a bit esoteric. Could a CVT, that would withstand the forces involved, be built small enough to fit inside the rear axle? Might help increase the top speed and increase overall efficiency. I would like info on the sales of this bike please. If possible mail to lriccobena@hotmail.co.uk - thanks. Hello! It's March 2007 already! Where is your product? How about a REAL availability date for a change? It's October 2007, I haven't seen this things around. I suppose it's never going to available for sale, is it? LoL... May '08. When is this danged bike going to be released? It should have been YEARS ago. If i recall they showed it off in 05, at that time they said, 2 years. Well its been 3 and I dont see where i can get one. This trully is the future of mankind!I very much want to get involved.